Sorry the picture is a little dark. I didn’t realize this picture was that dark until I uploaded it onto my computer. At that point I had already taken the polish off and didn’t want to paint it again just for a picture. So, dark picture will have to do. I bought this polish back in the winter when I found it in an Ulta clearance bin. I saw the OPI Shrek Collection when it first came out and picked up one of the polishes and was kind of disappointed with the formula. I picked up Whats With The Catitude, which I have featured on this blog a ton. The formula is super watery and thin and I never paid too much attention to the other polishes. Then over the winter, I saw the entire collection, minus Catitude and Who The Shrek Are You?. So I picked up two more and this is the first of the two that I’m finally getting to wearing. 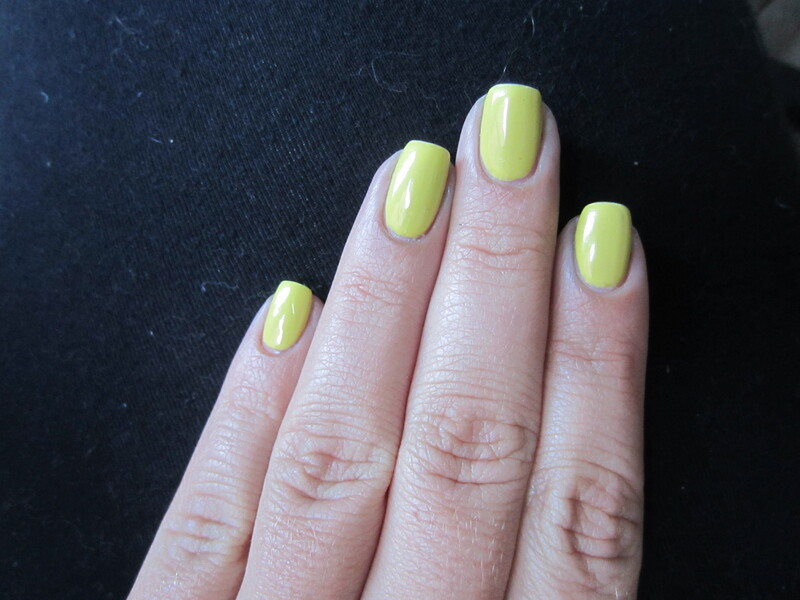 OPI “Fiercely Fiona” is a chartreuse creme polish. It is definitely a yellow green that leans more yellow than green. I got so many compliments while wearing this polish because it isn’t something that people see every day. In the direct sunlight it leaned a lot more yellow than green, but indoors it looks like a bright lime with a slight bit of yellow. I really liked the color and think its perfect for summer, but the formula and I are not friends. This is 4 coats. I’m normally not patient enough to do 4 coats but I really wanted to give this polish a real chance. I started with 2 normal coats and then did a really thick 3rd coat to get it opaque and it still had some bald spots. The formula was really thin and really watery and I had a hard time keeping the polish from spreading to my cuticles. Honestly, I loved the color so much that I really want to find a dupe (or maybe leave the cap slightly off for a day to harden it up). I hate the formula but am in love with the color. 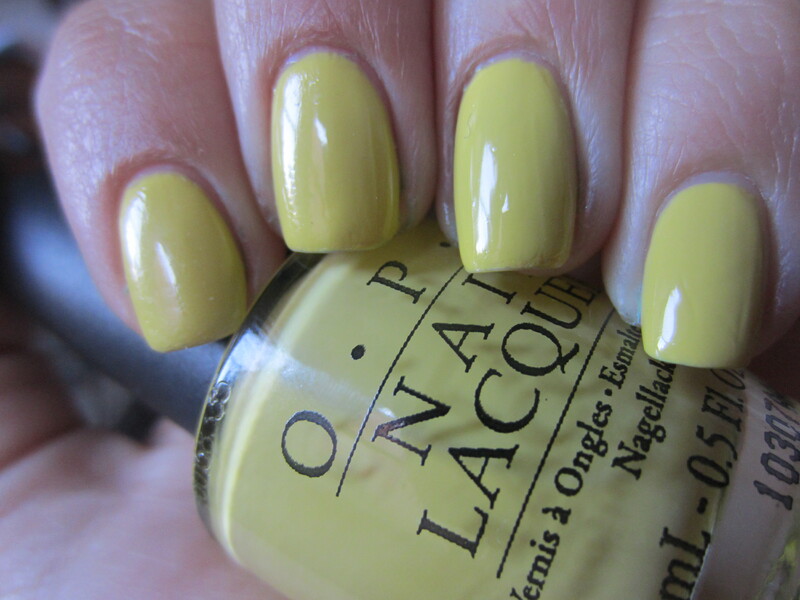 Have any of you tried this polish or any other polish from the OPI Shrek collection? Did you guys have the same issues I did? My bf’s sister works for Dreamworks so she gave me a weird shade of Shrek green. I kind of stayed away from it because it was such an odd shade, but I might have to try it again. I think mine was a little more opaque than that though.I like yours, its a cute color. thanks! and did you get the opi shrek one? if you try it out let me know how it turns out!